What is Robotium & what does it do? In essence, a Robotium test is a subclass of junit.framework.TestCase (an ActivityInstrumentationTestCase2, in this “case”) in which, by use of the Robotium library, a Solo object is created which allows easy access to the views in your activities. Through the solo object, you can set values in input fields, click on buttons and get results from other UI components. Methods of JUnits Assert class can then be used to check those results. How to set up Robotium? 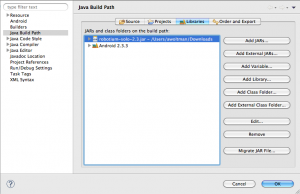 After creating an Android Test project in the usual way (I will assume you have done that before), you need to add the robotium JAR to the Libraries on the projects Build Path. In the setUp method of your testing class, you can create a Solo object and specify the Activity to be started. The Solo object can then be used in your testXXX methods to get and set values in/from UI components and click buttons and such. Many of Solos methods to access UI components take an int representing the index of the component in the UI. This can lead to brittle code so using getView (and the id defined in the layout xml) is a much safer alternative. Do keep in mind that changing values and performing clicks is not allowed from outside of the thread that originally created the views, these things must still be done through Solos methods such as setXXX, EnterText and clickOnXXX. The values to be asserted can then be retrieved through Solos methods isXXX, getCurrentXXX, searchText and others. Solos finalize method should be called from the tests tearDown method. When running the test case on the emulator or an actual device, you will see the values being entered into the UI components or see them being clicked as if you were doing it yourself. 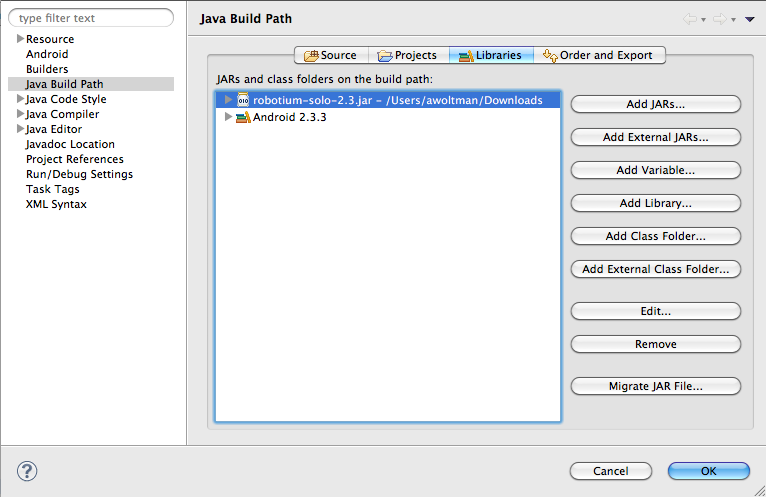 After the tests are completed, the JUnit view in Eclipse will show which tests have failed and passed. I think it looks pretty cool to see the app being run and the values being entered. This kind black-box behavior testing on the emulator is much more realistic than just a unit test. Stay tuned for my next post on a surprise topic, soon! Can you please explain the code.. 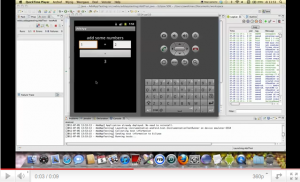 I am a android tester.. it will be useful for me..
1. can u plz explain how can i make test cases in Robotium ? 2. i have a project source code now how can i test my app ? i tried learning Robotium from 10 days, but i am unable to understand.plz help. i am very confused. I myself browsing it too from last week ,, if in case you got to learn it ,, please help me out too. Very informative post. Its really helpful for me and beginner too. Check out this link too its also having a nice post with wonderful explanation on black box testing…. I try to run robotium from the ubuntu terminal and its works fine, but now i want to pass the arguments (like, wants to run the test 100 times or 200 times) at the time of running from the command line(terminal). How can i do that using ubuntu terminal?? code in our robotium tests. Could you please explain how the robotium to test an apk when does not the source code of the apk?